Apple and the Apple logo are registered trademarks of Apple Computer, Inc. Setting up new equipment can be a big task for a new user, we can do this for you and connect to your ISP, setup your Email program, and give you some basic instruction in how to use your new Mac. All new Macs come with an Application called Migration Assistant. This transfers the information from your old Mac to your new Mac via a Thunderbolt or FireWire or Network connection. Depending on the Settings chosen, it can Transfer the following: User Accounts and User Data, Applications, Network and Computer Settings and Files on your Mac outside your User Folders. If you are moving from a PC to a Mac, the macfixer can transfer your data from your Email Program including emails, email addresses and Address Book data, Bookmarks from your web browser, all of your Files and Documents, Movies, Music and Photos to your new Mac. Most of your data can be read by a Mac Application. Some data cannot be read as there is no equivalent Mac Application available, e.g. Access or Publisher, no Mac versions of these MS Applications are available currently. Is your Mac running the latest version of software available? We can update all your Software to the latest version, update your Operating System (OS) and Apple Applications to the latest versions available. Moving to macOS 10.14 Mojave, including installation of the latest version of macOS and configuration of the OS to suit the way you work. We can install all the latest free updates of the OS and Applications such as QuickTime, iMovie from Apple and other vendors to make sure your Mac is operating at its best.t. Have you just purchased a new Scanner or Printer? We can install the Hardware and Software and setup the Device to work the way you want it to. Need to burn CD's or DVD's? 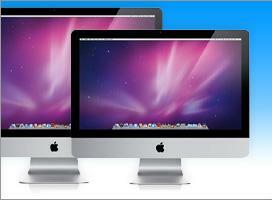 We can provide advice on the purchase of CD and DVD Drives for older Macs. Just bought a Digital Camera, now what do I do with the photos? The macfixer can show you how iPhoto Imports your photos and can create slideshows and Albums that will show your Digital Photos to your friends. We can setup your Accessories like Printers and Scanners, your Internet Connection, copy your Files and Applications from your old Mac to your new Mac, so that all the familiar things you used in your old Mac, are available in your new Mac. We can provide Tuition in the way that OS X works. Some products need paid updates from the vendor, purchase of these can be arranged on your behalf if required. The macfixer carries the latest free updates to most Software with him, so your Mac can have the latest version of Software Installed. Nowadays the Operating System needs lots of Memory / RAM (Random Access Memory) to operate efficiently. The macfixer can upgrade the amount of RAM fitted to your Mac in most cases. In the iMac 21.5" Late 2012, Mac mini Late 2014, MacBook Early 2015, MacBook Air and Mid 2012 MacBook Pro Retina Display and later models, the RAM is not User Upgradeable..
You must purchase the Mac with all the RAM you think you will need at purchase time. These notes appear on the Apple Website. "Important note: Every 21.5-inch iMac comes with 8GB of memory built into the computer. If you think you may need 16GB of memory in the future, it is important to upgrade at the time of purchase, because memory cannot be upgraded later in this model." "Every MacBook Air comes with 4GB of memory built into the system. If you feel you may need 8GB in the future, it is important to upgrade at the time of purchase, as RAM is not upgradeable in this model." "Note that every MacBook Pro 13” with Retina display comes with 8 GB of memory built into the computer. If you think you may need 16 GB of memory in the future, it is important to upgrade at the time of purchase, because memory cannot be upgraded later in this model." Where memory is upgradeable, the macfixer carries the common types and sizes of RAM with him, so can usually upgrade your Mac's RAM on the spot. Other types and sizes of RAM can be ordered for you. Getting an error message about running out of Hard Disk Space. We can install a larger Hard Disk Drive, or arrange for the installation and / or depending on model, additional Hard Disk Drives. Time Machine not setup. No External Disk for Time Machine Backup? The macfixer usually can supply an External Hard Drive for you to purchase for this purpose. Time Machine makes a Backup of the Files on your Mac and can also be setup to backup files stored on your Mobile Devices.